Construction on the Qianchun Interchange began in 2009, but the massive road knot was only completed last year . It consists of 18 different ramps, in 8 directions, on five different layers, with the highest one standing 37 meters above ground. 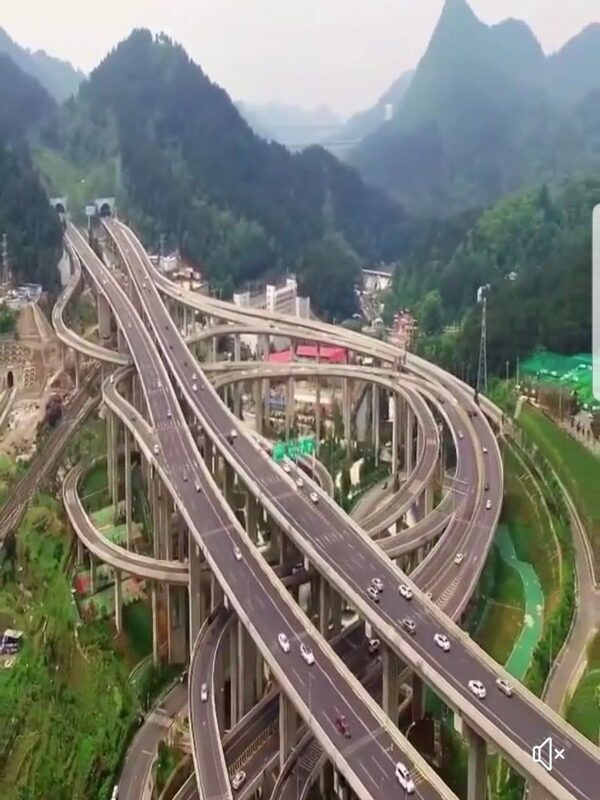 Like the nearby Huangjuewan Overpass, in Chongqing, this incredibly complex infrastructure project has been labelled a nightmare for motorists trying to find their way around. People on social media pointed put that GPS systems would be confused by the five different layers of road, but officials claims that the directions and exits on the interchange are clearly marked and that even if you make mistakes, it’s always easy to turn around. Still, just looking at this thing leaves me confused, I can’t imagine what having to find my way around it must be like.